Da Hong Pao (“Big Red Robe”) . . . my old nemesis . . . we meet again. Now, I’ve gone on record several times over the years as saying that Da Hong Pao was one of my least favorite oolongs. Sure, I had a few I liked, but the amount I disliked far outweighed that. That all changed in November of last year when I had an original “mother bush” Qi Dan Da Hong Pao. And for some reason—as I stated in earlier entries—it forever changed my palate. 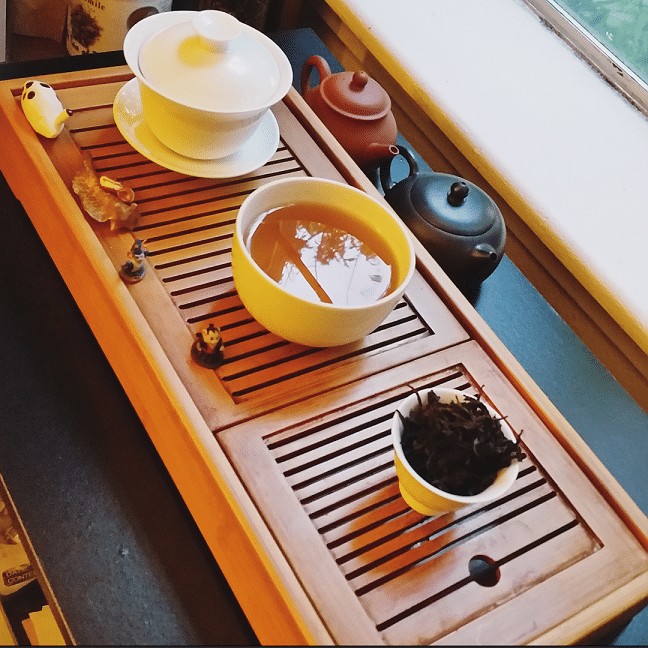 Wuyi oolongs were now welcomed to my tea tray. However, I still remained hesitant toward commodity Da Hong Pao. What’s the difference? Allow me to explain. 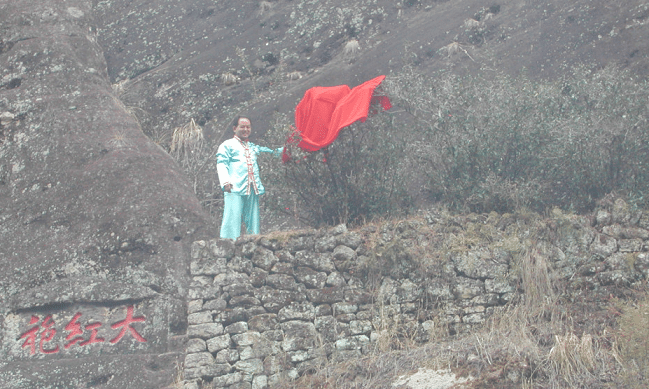 The six (allegedly) original Da Hong Pao (Big Red Robe) tea bushes; image owned by Seven Cups. 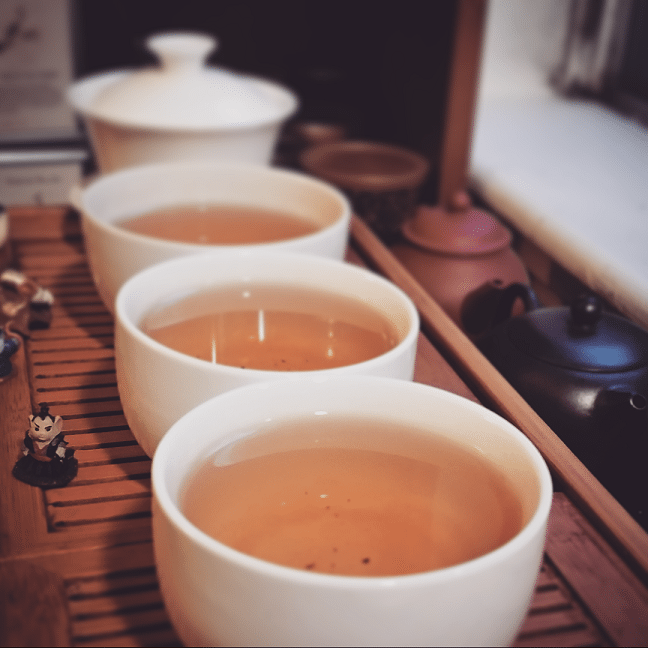 Da Hong Pao is easily the most famous oolong in China, by a mile. Several stories exist of how the stuff came to me, and I won’t go into them here. 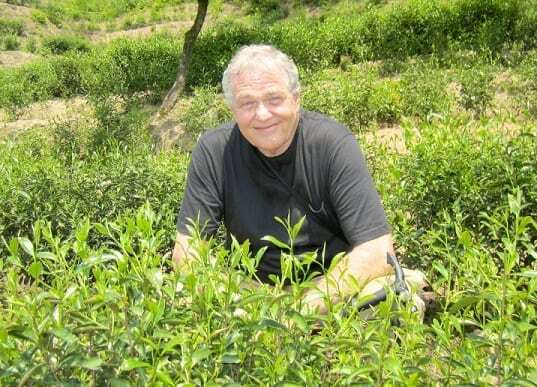 Teas from the original mother tree Qi Dan bushes fetch a high price—like, really high. Since 2005, it has been illegal to fetch leaves from the original bushes, cuttings from those bushes were used to create more mother trees clones. Da Hong Pao oolongs are also created from those. And they also fetch a fairly high price. Then there’s commodity Da Hong Pao. These are defined not by the single origin, tea bush cultivar used to create it, but rather the uniformity and artistry of the blend. 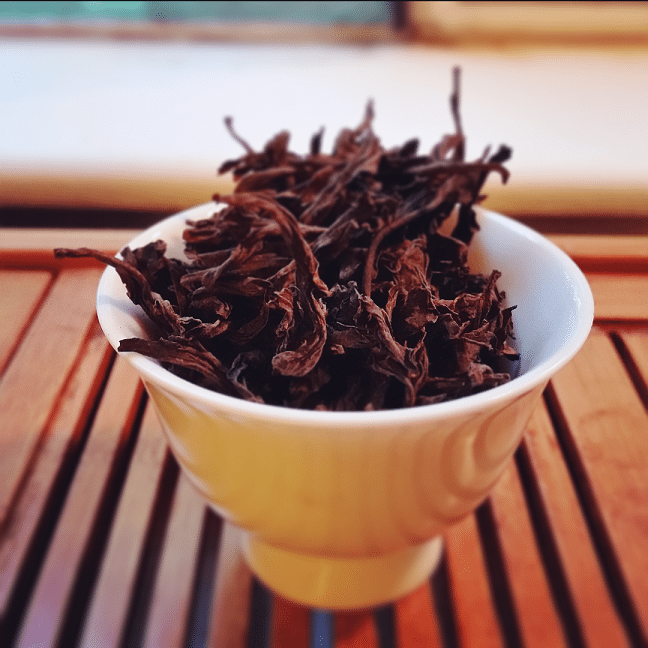 The Da Hong Pao-ness of its character is defined by its process, and not by the sum of its parts. Commonly, Shui Xian and Rou Gui cultivars are used with Qi Dan to create a smooth, like-blended experience. And these were often the ones I was hit-or-miss with. The leaves for this particular Red Robe had a very middle-of-the-road visual appeal. Meaning, the leaves weren’t too long or cut too small. They were a descent, average length, and beautifully twisty with a very uniform reddish-black appearance. As for the aroma they gave off, I was reminded of a Yunnan black tea I tried a few months back that was rolled in brown sugar then baked. It was something like that, burnt molasses and overcooked blueberry scones. I approved, in other words. The liquor for the first infusion brewed a really bold amber, bordering on black tea crimson. If I was looking at this with no context, I would’ve thought I was spying a Darjeeling. The aroma wasn’t anything out of the ordinary—roast, rocks . . . roasted rocks. Then the taste hit me. Holy hell! It reminded me a bit of a wild purple cultivar black tea from Yunnan. (Funny how I’m making a lot of call-backs to a completely different Chinese province.) There was a bit of tartness on introduction, a stone-fruity middle and top note, and a gradual, downward spiral into roasty-toasty madness. Further gongfoolish infusions alternated between sweet, floral, roasty, or—in the case of the last one—some combination or all of the above. Through it all, though, the fruity lean still remained ever-present, like an itch you just can’t scratch. Like now. No, I’m not addicted! And this concludes Seven Days of Seven Cups! I hope the experience has been as enlightening for you as it has for me. Over the last couple of weeks, I’ve had enough Wuyi oolong to kill a small tree. And I don’t feel the least bit guilty. Thanks again to Austin Hodge for providing these for my palatial pleasure. This post has inspired me to get out the primo DHP and do a taste comparison with 3 grades.. I await your next tea tasting adventure! Nice read. At larry’s cousins. 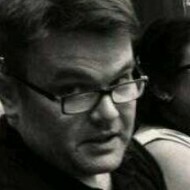 Joe is here visiting. Repeat after me, I am not addicted, I am totally addicted.